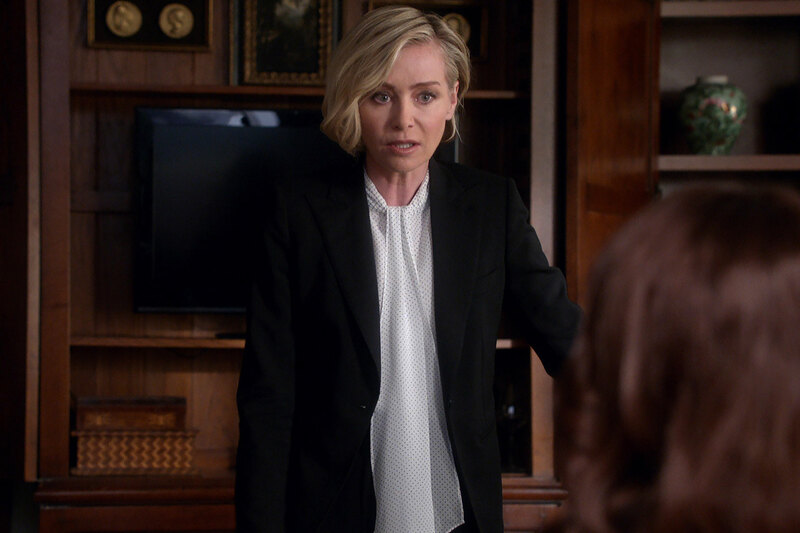 Scandal’s Portia de Rossi Reveals Her Strangest Moment on Set - Integration Through Media ....! It’s not everyday that your mom watches your TV character get murdered, but that’s exactly what happened to Portia de Rossi. Rossi, who joined Scandal in season 4 as Republican power broker Liz North, asked to be written out of the show in 2017 to focus on a business venture. Scandal writers obliged — with a death scene to remember. “My mother is a huge Scandal fan, and from the day I joined the cast I promised her a visit on the set,” de Rossi says in PEOPLE’s All Seven Seasons of Scandal special edition. She remembered her promise on her last day of filming, when Liz North gets brutally beaten to death with a golf club. So much fake blood was used to film the scene that de Rossi says she couldn’t lift her head up because her wig got stuck to the floor. “It was very strange having my mother watching me get murdered,” she says. But de Rossi reassures us she wasn’t traumatized witnessing her daughter’s death. “My mother was more traumatized that I would no longer be on Scandal!” she says.